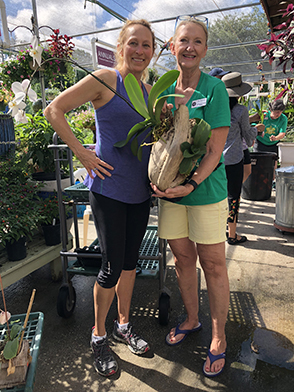 The first Saturday of the month from February through November, Jacksonville Orchid Society members are available to talk with you, answer questions and help you repot your orchids. We will be at the Ace Hardware at 12501 San Jose Blvd. in Jacksonville from 10 am until 1 pm. Ace usually has a special orchid sale for JOS members with big discounts on orchids and orchid supplies and bigger discounts on out of bloom orchids. Don’t miss it!